After the success of the previous paid social campaign, the team were back at it again, this time an awareness piece that sits within a larger integrated campaign idea with the brand. From a three word campaign slogan, fleshed out into a three separate ad spots. As this project was part of an on-going campaign, there had already been out of home still-photo ads around the idea of ‘Introducing Yourself Properly’, so any concepts still had to feel congruent with the rest of the campaign. The objective was to introduce the brand to an audience unfamiliar with MOO establishing the brand tone, and to retarget recent site visitors. With a longer run time of 30seconds this allowed for more creative liberty to present a story that builds intrigue. Focusing on the global practice of introducing yourself with a handshake, we crafted familiar story everyone can resonate with — making a bad first impression with an awkward handshake. Together we settled on three humourous ideas all illustrating various bad handshakes which then resolve in how to Introduce Yourself Properly with MOO’s products. The videos needed to work in a natively sound-off environment, so it was essential the ideas were simple to understand. The approach behind each video was broken down into three key frames; the set up, the pay-off, and the resolution, ending with the product in hand and a call to action. Although the campaign was largely an awareness piece, there was an opportunity at the end to highlight some features the brand offers. 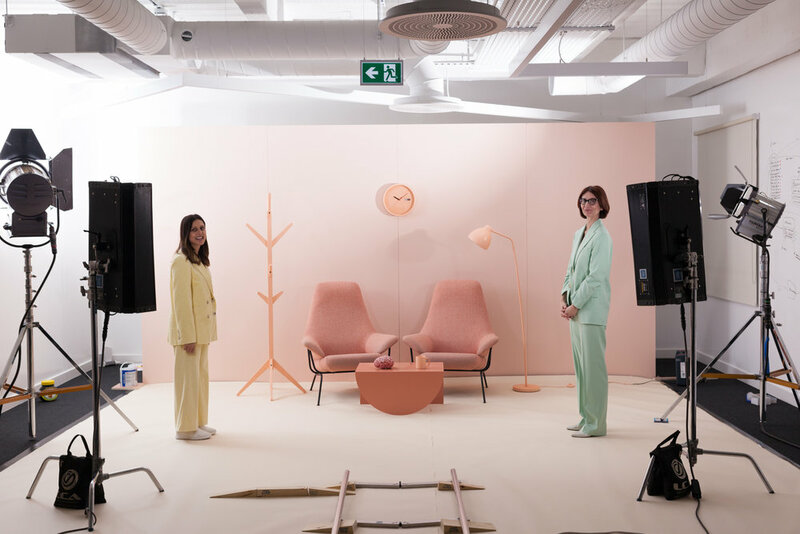 The result was three charming set pieces bringing to life the campaign slogan in an amusing spot that would sit across MOO’s social channels, inspiring customers to discover how they can make a great first impression. The videos managed to bring out the humour and surprise ingredient of the brand tone, which audiences were clearly fond of as 50% of viewers watched until the pay-off of the videos.